WWF has pointed the finger at Australia for the rapid decline in koala numbers, and warns that the endangered, national animal could disappear from the wild by 2050. Koalas are on track to facing extinction in NSW as early as 2050 based on current trends and expert knowledge. WWF reported that without a significant reduction in tree clearing, mitigation of climate change and expansion of protected areas, the species will die out. WWF Australia CEO, Dermot O’Gorman, said: “It is a wakeup call for our east coast to appear alongside notorious forest deforestation hotspots such as the Amazon, Congo Basin, Sumatra and Borneo. The plight of koalas is matched by alarming declines for many other uniquely Australian species who are losing their forest homes. 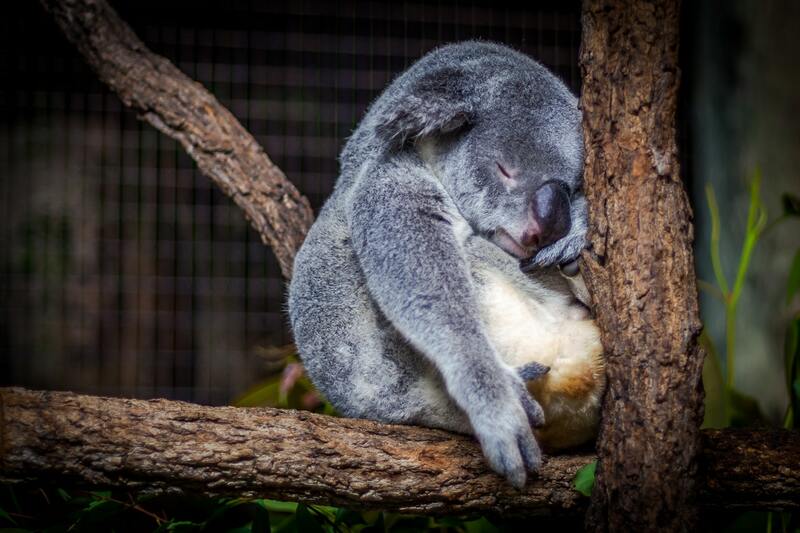 The NSW government found that 99 per cent of koala habitats on private land would be put at risk of destruction by the 2017 repeal of the Native Vegetation Act, and that tree clearing would increase by 45 per cent state-wide as a result. Koala habitat destruction has more than doubled around north central NSW following the repeal of the Native Vegetation Act, suggesting higher rates of population decline than estimated for a period within which stronger controls over NSW tree clearing was enacted. Climatic and disease threats, and to some extent degradation effects, operate even over protected areas, meaning that even protected subpopulations may also be sent into decline, despite being free of the risk of direct habitat destruction. This comes as WWF releases the Living Planet Report 2018, which found that global populations of vertebrate species have declined in size by an average of 60 per cent. The biggest drivers of biodiversity loss are overharvest of wild populations and destruction of habitats for agriculture, both linked to continually increasing human consumption. WWF is calling for the global community to unite for a global deal for nature and people to reserve the trend of biodiversity life – and save the lives of koalas.